The future of Hazardous area lighting. The HDL106 LED weighs only 6.0 kg yet can generate as much illumination as a much larger input SON or MBI alternative. Instant on / off low power 100,000 hours life expectancy. Vibration resistant. Fit and forget illumination. Emergency variant available. Linkabe to give larger outputs. Available in Narrow, Medium, Wide or Extra wide beam pattern. Protection: Ex II 2 G D Ex emb IIC T4 Gb, Ex t IIIC T103oC Db IP66/67. Modular construction allows the modules to be interlinked with each other to provide greater light output. 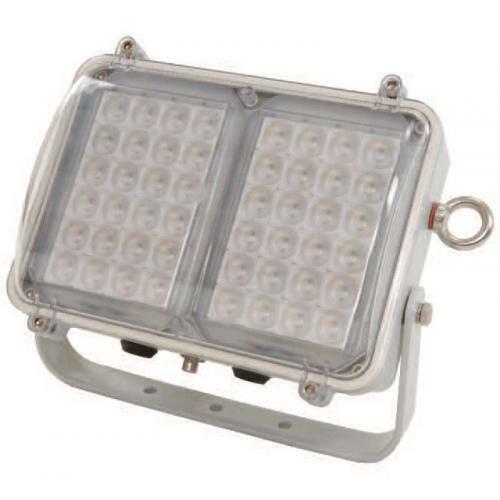 Can be used as a single unit - small floodlight or bulkhead or be linked together to replicate a large 250W/400W floodlight. All units supplied with 2 cable entries. Narrow, Medium, Wide and Extra wide beam light output available. LED technology will give a predicted lamp life of 10 years+. 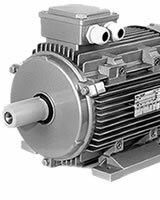 No light degradation at low temperatures. Low cost of installation, operation and maintenance.